Choosing the right summer camp for children can be a difficult decision for both the campers and parents. Camp Fire Camp Toccoa offers open house for parents and campers to prepare for camp. Tour our facilities, meet staff and campers, get all your questions answered and more! Open House will be held rain or shine. No RSVP is required. If you are unable to attend, you may call (706) 886-2457 and make an appointment to bring your family and friends up. Our directors live on the camp property with our families and be would be glad to meet with you personally and give you a tour of the camp with advanced notice. All tours outside of our open house dates require an appointment. Bring a Buddy – win $20 Trading Post Money or a Cabin Party! 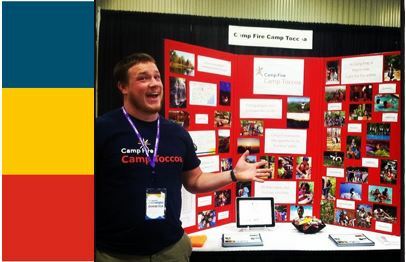 Word of mouth is the best way to spread the word of how awesome Camp Fire Camp Toccoa really is! Bring a camp age friend to show them the magic and opportunities that await at Camp Fire Camp Toccoa. Open House is a great way to get you excited for summer and get your friends excited about coming to camp as well. If you bring a friend that is new to camp with you to Open House, you may be eligible to win *$20 Trading Post Money or a Cabin Party! 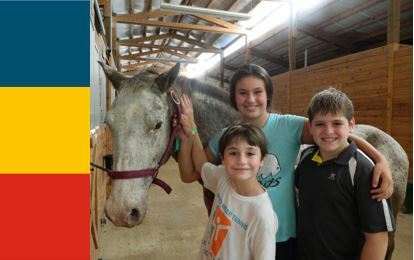 *“Bring a Buddy” takes place the day of Open House for all returning campers who bring a new-to-camp, camper-aged friend. The friend must have a parent/guardian present at the Open House. If you bring two friends and their parents, you get two entries but if you bring four friends and only two of them bring their parents, than you get two entries. The winner will be contacted on Tuesday, May 15th. Word of most is the best marketing we’ve found! Information sessions held at a home, church, club house, etc is an easy way to learn more about Camp Fire Camp Toccoa. They’re an easy, relaxed way for you and your friends to learn more about Camp Fire Camp Toccoa and for us to meet potential camp parents. It’s simple – call our office at (706) 886-2457 to set up a date and time. 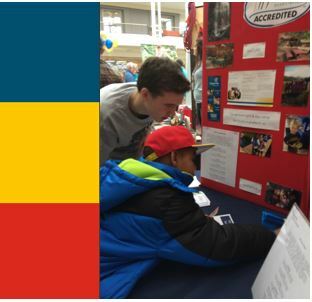 We suggest inviting friends, co-workers or other parents from your kids’ school kids (entering 1st – 12th grades) that may be looking for summer camp options.